DFS 3 seater sofa bed. Used but still plenty of life left.. left bottom bit slightly come off doesn't affect the use ( see pictures ). Collection only. Please bear in mind this sofa is really heavy. Priced low for quick sale. Thanks for looking Dimensions are 83inc (w) x 37 inc (depth) and 28 inc (height). The mattress size is 51 inc (4ft 3inc) wide, 71 inc (5ft 11inc ) length with a depth of 4.5 inc. when the sofa bed is out it measures 7ft 7inc. Lovely 2 seater sofabed in very good condition. Sits in our 2nd lounge & therefore very rarely sat on. Depth of sofa = 37”. Very easy and quick to set up as bed. Bed/mattress length 75”. Comfortable 3 Seater Sofa with fold-out double guest bed in ivory fabric. Used as a sofa in a non smoking pet free house. Useful occasional extra bed space which folds away in seconds though this has hardly ever been used. Ivory fabric in good condition, having always had a throw in place, loose fill cushions for comfort. Flip Sofa Bed, very convenient and quickly transforms into a bed by simply flipping it down. It’s slightly wider than a single bed, American full size, when in bed mode it’s 100cm wide. 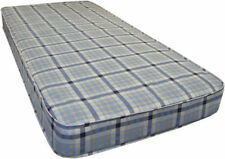 Condition is Used but in excellent condition as it’s hardly used, decided to buy a proper bed in the end. Great for a dressing room, study or children’s playroom. Electric Cream Leather Recliner Armchair Lounge Chair , used in good condition. Condition is Used. Collection in person only. DFS Brown Leather Armchair Lounge Chair With Free Foot Stool Excellent Condition. Condition is Used. Collection in person only. Leather 3 Seater Sofa x 2 Black Italian leather sofas. Chrome feet..
4.5 out of 5 stars - Leather 3 Seater Sofa x 2 Black Italian leather sofas. Chrome feet..
13 product ratings13 product ratings - Leather 3 Seater Sofa x 2 Black Italian leather sofas. Chrome feet.. The legs are also scuffed from the Hoover knocking them but you could swap front for back etc. This was over £800 new and the footstool another £400 less than 4 years ago, so this is a bargain. All marks on the leather are authentic to this type of leather (I.e. scratches and scars on the cows hide). 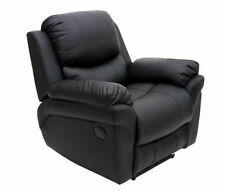 Comfortable Baggy Tan Leather, Recliner, Armchair, Sleep, Swivel Rocking Lounger. Faux black Leather 3 Seater Sofa and 2 Armchairs. In good used condition but has some cracks in various places, mainly on one of the armchairs. Not that noticeable but have to mention as not perfect. All seats recline apart from the middle chair in the 3 seater. The three seater splits into three sections for easy transportation and can also be a two seater if preferred. No sagging in any of the seats. Needs collecting ASAP as have new ones. Cash on collection from Billesdon, LE7 9. A good bargain, very expensive when new. 2x 2 seater sofa' s 1 armchair and 1 footstool. WE have only had it approx 6 months . Originally from Harvey's. V good condition. Buyer has to collect. Condition is Used. Includes: 3 seater sofa, 2 seater sofa and 1 arm chair. Incredibly comfortable and fantastic condition 3 piece Suite. Cushion covers and seat covers can be removed and washed in the washing machine. DFS Teal Blue Soft touch fabric 2 seater sofa. DFS Teal Blue Soft touch fabric 2 seater sofa. Depth. 95cm Width. 160cm From a clean and smoke free home. Selling due to recent house move and no longer required. Collection only. Compact 2 seater sofa bed - DFS Rachel - beautiful mocca colour. Matching cushions. Condition excellent. Fully operational. Little used. Sofa split in 2 pieces. Fibre filled seats and back cushions. ascent chair W x 800 mm, H x 720 mm,D x 860 mm. Big selection of sofas, suites, corner sofas. corner Size W x 2980 mm by 2270 mm, H x 880 mm,D x 1100 mm. Sofa 203cm x 95cm deep. Liberty pink velvet accent chair bargain price ! Liberty by DFS. RRP £399 ON SALE. 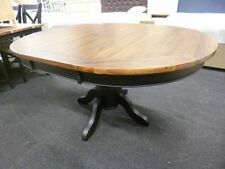 Our Price £239. House Goods 4 U. easy to add to spaces. FANTASTIC LEATHER TETRAD "OSKAR" ANTIQUE STYLE HAND DYED "TAN". CHESTNUT BROWN LEATHER CHESTERFIELD 2/3 SEATER SOFA . 2/3 SEATER SOFA. SOFA DATES FROM THE EARLY 21st CENTURY . LEATHER IS IN GREAT OVERALL CONDITION. Leather 3 Seater Sofa, 2 Armchairs - one reclines. No fire certificate. Leather 3 Seater Sofa 2 Armchairs. One chair reclines. Condition is Used, no fire certificate. Settee 198cms long. 4.5 out of 5 stars - Leather 3 Seater Sofa, 2 Armchairs - one reclines. No fire certificate. 13 product ratings13 product ratings - Leather 3 Seater Sofa, 2 Armchairs - one reclines. No fire certificate. FANTASTIC LARGE LEATHER TETRAD "OSKAR" ANTIQUE STYLE HAND DYED "CIGAR". BROWN LEATHER CHESTERFIELD 3/4 SEATER SOFA . SOFA DATES FROM THE EARLY 21st CENTURY . 3/4 SEATER SOFA. 43cms SEAT HEIGHT. A combination of soft structured cord chenille and fashionable fabric together with deep filled fibre seats and backs make the Jumbo as comfortable as it is stylish. This sofa is available as a left or right hand and all cushions are included. BROWN LEATHER CHESTERFIELD WINGBACK ARMCHAIRS . WINGBACK CHAIRS SIZE. FANTASTIC PAIR OF LEATHER TETRAD "OSKAR" ANTIQUE STYLE "CIGAR". LEATHER IS IN GREAT OVERALL CONDITION. MAY BE A SLIGHT COLOUR DIFFERENCE DUE TO THE PICTURE QUALITY. Pick up from wa41pl area cheshire. mattress is in like new condition very little use. RRP £379 on sale. Ottoman box by DFS. Clean good condition. lovely style. ex showroom. 3 Seater Cream And Black Sofa With Matching Swivel Chair And Foot Stool. Condition is Seller refurbished. Dispatched with Royal Mail 2nd Class. We drive to bring you best quality products and to be the cheapest online direct to you. Clever headrests adjust to four position. Arm Height. Seat Height. 100% Leather. Seat Depth. Choose from any two colours combinations. Sofa split in 2 pieces. Fibre filled seats and back cushions. 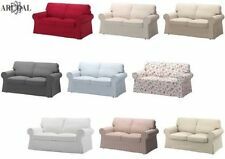 Big selection of sofas, suites, corner sofas. corner Size W x 3000 mm by 2250 mm, H x 880 mm,D x 1100 mm. in very good ,clean condition. Leather Sofa ,3 Armchairs,and Foot Stool. ‘Dorset` A grade leather very good condition which has had very little use. 4.5 out of 5 stars - Leather Sofa ,3 Armchairs,and Foot Stool. 13 product ratings13 product ratings - Leather Sofa ,3 Armchairs,and Foot Stool. DFS Biba design pouffe/footstool in dark brown real Italian leather with aged/distressed finish and square wooden feet. It measures approx 61 x 55 cm and 40 cm tall. It opens up to provide storage inside (contents in picture not included!). It is in good condition with no damage. Collection from Gosberton in Lincolnshire, cash preferred. To be collected asap after sale please. FANTASTIC LARGE LEATHER TETRAD "CHATSWORTH" ANTIQUE STYLE HAND DYED "CIGAR". BROWN LEATHER CHESTERFIELD 3/4 SEATER SOFA . 3/4 SEATER SOFA. SOFA DATES FROM THE EARLY 21st CENTURY . LEATHER IS IN GREAT OVERALL CONDITION. FANTASTIC PAIR of LARGE LEATHER TETRAD "OSKAR" ANTIQUE STYLE HAND DYED "TAN". BROWN LEATHER CHESTERFIELD 3/4 SEATER SOFA . 3/4 SEATER SOFA. 112cms DEEP. LEATHER IS IN GREAT OVERALL CONDITION. MAY BE A SLIGHT COLOUR DIFFERENCE DUE TO THE PICTURE QUALITY. Sofa splits in 2 pieces. Seats-foam,back cushions. Corner sofa W x 2800 mm,2100 mm ,H x 920 mm,D x 1000 mm. -feather filled. Big selection of sofas, suites, corner sofas. Asti by DFS. RRP £399 on sale. Grey velvet colour fabric. elegant style. perfect size to add to spaces. curved arms. FANTASTIC TETRAD "OSKAR" 4 PIECE CHESTERFIELD SUITE IN HAND DYED "TAN" ANTIQUE BROWN LEATHER. 3/4 SEATER SOFA, CLUB CHAIR, WINGBACK ARMCHAIR & FOOTSTOOL . WINGBACK ARMCHAIR. FOOTSTOOL SIZE. 3/4 SEATER SOFA. 3/4 SEATER SOFA, CLUB CHAIR & WINGBACK ARMCHAIR . LEATHER IS IN GREAT OVERALL CONDITION. THE SUITE IS A CONKER, DARK, RED,BROWN COLOUR MAY BE A SLIGHT COLOUR DIFFERENCE DUE TO THE PICTURE QUALITY. (Photos show different coloured scatter cushions on the sofas, just for idea of colour matches :). FANTASTIC LARGE LEATHER TETRAD "OSKAR" ANTIQUE STYLE HAND DYED "CIGAR" BROWN LEATHER CHESTERFIELD 3/4 SEATER SOFA . 3/4 SEATER SOFA. SOFA DATES FROM THE EARLY 21st CENTURY . LEATHER IS IN GREAT OVERALL CONDITION. 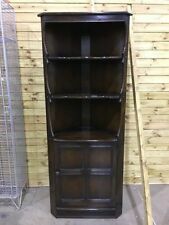 Armchair 90cms tall to top back cushion & 110 wide 97 deep. We deodorise and clean and protect all leather products.